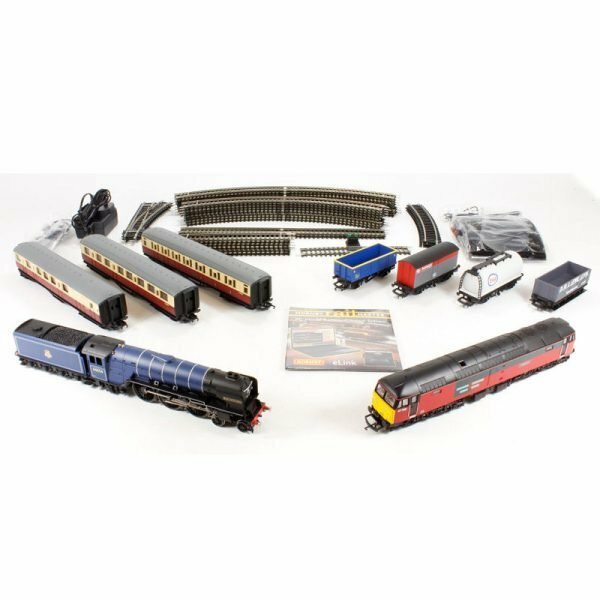 Home / Model Railway / Pre-owned Model Railways / The Majestic Digital Train Set with eLink no track. 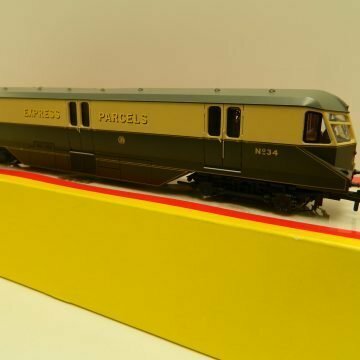 This simply amazing train pack has to be the gift of a lifetime. 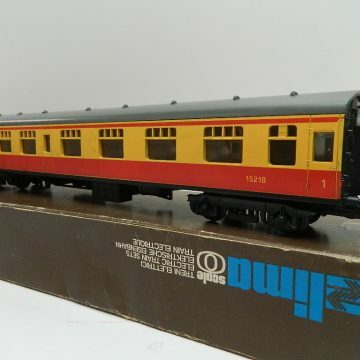 The incredible contents include not only a powerful Pacific type locomotive liveried in the eye-catching Experimental Blue colours of the early British Railways days but also a modern style Class 47 diesel which is ideal for hauling the assorted wagons. 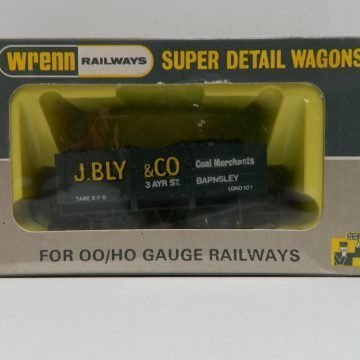 However, what is truly amazing is that both locomotives are controlled by Hornby’s state of the art and revolutionary ‘eLink’ digital interface unit, which is not only capable of having 9999 locomotives allocated to it but also has the capabilities of controlling in excess of 2000 points or accessories providing power is available! All that has to be done is for the ‘eLink’ to be connected to a PC or laptop, load the ‘RailMaster’ software and then you are really going places. Incredibly intuitive, the ‘RailMaster’ makes operating trains simple and straightforward. (PC not included). Internet activation required to access all RailMaster features. 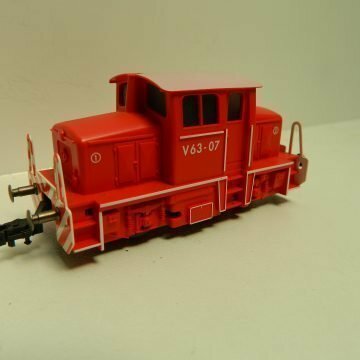 PLEASE NOTE NO TRACK IS INCLUDED WITH THIS SET!